owls about that then! : Dartmoor and owls! Apologies for the lack of posts recently, there has been loads going on and I just haven't had the time (or could be bothered) to sit on front of the computer for hours on end. Since returning from my very enjoyable trip to Scotland there hasn't been any time to rest, initially there were more nest boxes that needed to be monitored, some surprises and some disappointments. Then there was the first round of ringing that we did at a few Barn Owl sites, it's not quite so productive this year but still a few brand new breeding sites! In between the aforementioned I've also been out monitoring my Little Owl sites where I've had a few opportunities to photograph some recently fledged juveniles. However, all that will have to wait as I'm going to be cheeky and insert a quick post from my recent trip down to Devon. It was a family break where everyone had to be pleased so we had lots of different seaside activities planned, crabbing around the port, a trip to the zoo, lazing on the beach, amusement arcades, train rides etc etc.....I think you have got the gist (and that was just my list!!!) I was concerned as I'd managed to sneak in my camera and binoculars but when was I going to have chance to use them? Our accommodation for the week was a brand new apartment that was based within walking distance of the very pretty port of Brixham. This location was chosen with a bit of selfish intent in mind, it wasn't too far from all the required activities to keep the Mrs and kids happy but also not too far for dad to visit the moors! We'd been there for four whole days before I had the chance to sneak off early on Wednesday morning. I'd been chomping at the bit to get out and by then was sick and tired of looking at seagulls. The moors were everything that I'd imagined, vast areas of heathland covered in gorse and heather (very similar to Scotland really without the mountains) but there were just too many other people about. I made the mistake of not having a detailed enough map with me so I couldn't really plan to head for the quieter and more elevated back lanes. Instead I just kept driving around until I eventually came across an area that was devoid of hikers, bike riders and day trippers. My main target was Whinchat, I'd previously done some research and knew that this species bred on the moors, other targets included Stonechat, Wheatear and maybe even a Merlin? As I drove along the narrow lanes Stonechats were seen everywhere, initially I ignored them and concentrated on getting to a higher elevation. Then I chanced upon a family party of Spotted Flycatchers, there was six in total feeding along a fence line that offered shelter from a stone wall. I spent an hour with these birds but sadly not one usable image was acquired, never the less good to watch. I moved on and continued to climb, my next reason to stop again was another family party only this time they were Wheatears. As I watched I realised they favoured a certain group of rocks so it was there I parked up and had a very enjoyable half hour photographing them. I did manage a hat full of images (mostly keepers) but I am only going to share this one shot (below). For the next few hours I moved around looking and watching all the time, I was pleased with the area I'd finally chanced upon because not another soul had been seen. However, the reason for it being so quiet may have had something to do with it being a military area where maneuvers and firing took place on a regular basis, mmmm that must be what all the red flags meant!! I'd previously mentioned that I was seeing Stonechats everywhere, eventually I succumbed and pulled over to have a go at capturing some images of them. I'd exhausted this elevated area and no Whinchats were to be seen, reluctantly I decided to move to a lower plateau to see if I'd have more luck there. En-route the road winded its way through a heavily wooded area with a meandering stream, it looked good for other target species such as Redstart and Pied Flycatcher. Plenty of birds were being seen or heard but mostly common stuff that didn't really call for any further action. A juvenile Green Woodpecker did land close by for about half a second, I messed up that opportunity! 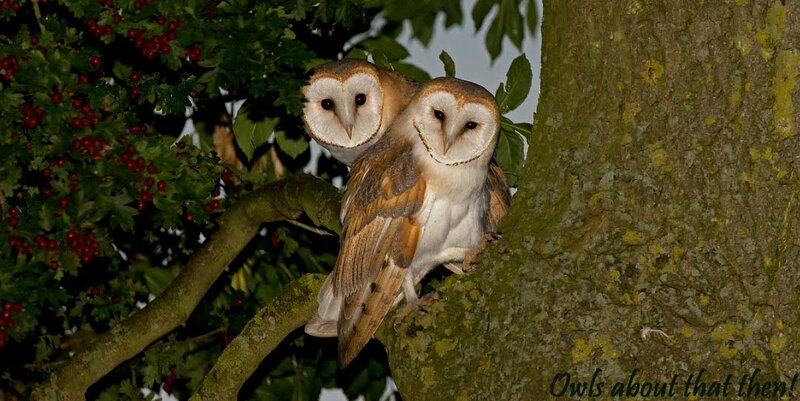 I then thought I heard the begging calls of a Tawny Owl? I listened with intent and there it was again, and again. It was faint but I knew what it was, it seemed to be coming from further along the lane. Rather than start up the car and risk the chance of spooking it I got out and moved closer on foot. I didn't go directly towards where I thought the call was coming from but instead I circumnavigated it. This plan seemed to be paying off as the closer I got the louder the call seemed to get. I then got to a small clearing at the side of the road which lead up to a small stone shed. This was the spot where the call was at it's loudest, it was by now directly above me but due to the dense canopy it couldn't be seen. This small area looked very "owly" indeed and the sort of location I have back in Leicestershire where adults encourage the juveniles to roost after fledging. The car was relocated, the camo scrim was erected at the window and the waiting game commenced. For the next 30 minutes it was deathly silent, the car had obviously quietened them down. This was quite normal when waiting for Tawnies to show so it was just par for the course. Then as predicted the begging calls started again, it was now as loud as ever but the bird(s) were still obscured by the dense overhead branches and leaves. Then there was a movement, a youngster had re-located to a lower and nearer branch, unbelievably I had a direct view of it, what luck!!! Because the action was starting to gather pace I knew I was going to be here for a while, the only problem was I didn't have a phone signal so there was no way I could let the Mrs know I was going to be late, oh no in trouble again!!! The next few hours proved to be very productive with respect to watching the birds, the juveniles (three I think?) got very vocal at times when one of the adults came in, occasionally taking images was possible and below are a few I'd like to share. So it was a very unexpected species that I chanced upon on the moors, I'm pretty sure my previous experience with this species helped me initially identify their presence by identifying the juveniles calls, it was then down to doing what I'd learnt on how to locate and "work" the site. Yes I was there for a few hours but it was time well invested as I am very pleased with my resultant images. Needless to say when I finally got back to base I was in the doghouse, to be fair I did say I was only nipping out for a few hours and not the whole day!! Although I'd have loved to have had a re-visit this wasn't to be the case as for the rest of the holiday I was making amends.......ah water off a ducks back!!! That's what I call a result, Paul, even if it did cost you your freedom for the rest of the holiday. Beautiful images! I too have not been out and about much lately, but when I have it's been disappointing with regard to LO juveniles - only one seen so far and then only once, in spite of a few subsequent visits. I'm wondering if the wet and windy spell, followed by rather dry weather (when it's rained, the wind seems to dry things out immediately) has made it difficult for the owls to find food, and messed up their breeding - or perhaps things are just happening later than usual this year? Hi Richard, being confined to barracks was well worth it buddy, not every day you see Tawnies like that. On the Little Owl front, to be honest I haven't dedicated much time to them this year (mainly Barnies) but the sites I have visited all seem to have fledged youngsters now although I will say only singles or two's. So sorry I am not able to offer a definitive answer or explanation? A superb set of images mate, love the Juv Wheatear!! Great photos of the young Tawnies - well worth getting in trouble for! Yes it was Carl, I'm sure most of us would have done the same? Hi Gary, thanks for your comments, it seems as we would have all done the same and stayed with the Tawnies! Super images of the juvenile tawnies, not sure how you get away with it, I would be singing in castrato. 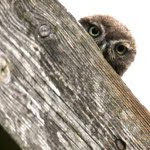 Are you seeing many Little Owl juveniles, so far we have only seen the one. The family made me suffer John, but hey as I said in my blog, it was water off a ducks back! Little Owls are being seen, but they haven't really been my main focus this year (see comments above). Thanks for your comment! I too am a sucker for Stonechats Doug, great little birds. Thanks for your comments buddy!